Austria hosted the World Diversity Leadership Summit in March for the first time. 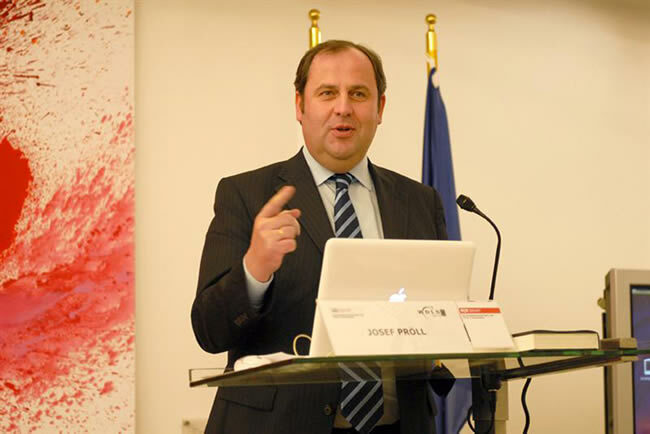 Under the auspices of Austrian Vice Chancellor Josef Pröll, it was held in the Ministry of Finance with more than 230 experts from the economic and political sectors as well as think tanks and academic institutions attending. Two thirds of the experts came from abroad and exchanged views on future strategies to promote a positive interaction within Europe’s diverse cultural, demographically changing population. Some 76 leading international speakers participated, including summit founder Douglas C. Freeman, Minister for Social Affairs Rudolf Hundstorfer, U.S. Ambassador to Austria William C. Eacho, as well as the CEOs of prominent Austrian companies. Launched in 2004 in the United States, the World Diversity Leadership Summit has become a high-profile forum for addressing the challenges and opportunities related to supporting global diversity. Every year global executives from over one hundred of the world’s leading corporations attend the conference to discuss how companies can help improve communities and gain greater value by offering opportunities to diverse minorities in the workplace. Highlighting examples of success stories in Europe and the U.S., the panel discussions focused on such topics as recruiting and managing diverse talent in a demographically changing environment and on diversity return on investment as an enrichment to innovation and creativity. The initiator and organizer of this year’s World Diversity Leadership Summit in Vienna, Beatrice Achaleke, is the executive director of AFRA - International Center for Black Women’s Perspectives with headquarters in Vienna and founding president of the Black European Women’s Council (BEWC). Ms. Achaleke has been working for years to promote ethnic diversity, emphasizing that “diversity represents an opportunity rather than a hindrance.” Born in the small village of Lebang, Cameroon, Achaleke came to Vienna at age twenty-four, where she studied sociology. Her commitment to promoting diversity management began in 2003 when she initiated the Black Women’s Community for self-empowerment of Black Women and their families in Austria. 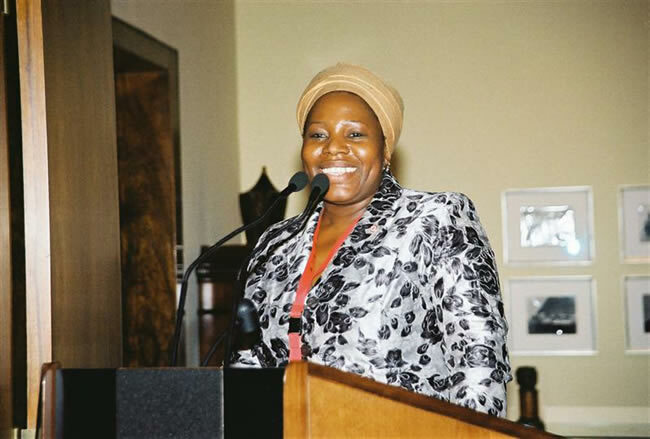 In 2005 she set up AFRA- Vienna’s International Center for Black Women’s Perspectives representing the growing number of black citizens in Austria. Beatrice Achaleke, organizer of the Vienna Summit. Dieter Sackl & Villiam Bernuska (World Diversity Leadership Summit)Following such measures in Austria, she turned her attention to Europe. Recognizing that building relationships through networking, lobbying and mentoring helps to improve their public image, Achaleke founded the “Black European Women’s Council in 2007,” which today represents the voices of a striving ethnic minority in Europe. Under Achaleke’s initiative the Black European Women’s Congress was launched in Vienna in 2007 and consisted of 160 black women representing eighteen different EU member states. As she recalls: “In the Vienna Declaration of Black European Women, we defined ourselves for the first time as no longer immigrants but Black Europeans. Many of us have European citizenship and many are second generation, having been born and raised in Europe without ever having been in the country of our forefathers.” Members of the Black European Women’s Congress also include African American women residing in Europe who have joined the movement. Moreover, they maintain good contact with experts in the U.S. who work with diversity programs and with the founder of the Diversity Leadership Summit. In 2008, a twelve-member U.S. delegation attended the official launch of the Black European Women’s Council in Brussels. Beatrice Achaleke has been awarded many prizes for her untiring commitment, including the MIA Award and the Miriam Makeba Honorary Prize. She is the author of “Voices of Black European Women, Challenges, Reflections and Strategies from the Vienna Congress,” several articles and is often a keynote speaker in Europe and on Austrian radio and television programs. She also developed the project, “Mimpol,” a mentoring program that promotes political participation of immigrants in Austria. For her commitment to intercultural dialogue in Europe, Beatrice Achaleke was awarded the Decoration of Honor of the Federal Republic of Austria in September 2008. On September 17, 2009 the World Diversity Leadership Council in Washington, D.C. honored her outstanding commitment to empowering Black Women in Europe with the 2009 Global Diversity Innovation Award. Past recipients have been the former president of the Czech Republic Vaclav Havel, EU Commissioner for Employment, Social Affairs and Equalities Vladmiri Spidla, and a number of leading global companies. One of Achaleke’s main conclusions of this very successful conference was that there is a large difference in the way diversity is viewed in the U.S. compared to Europe: “Whereas diversity is well understood by U.S. companies and is seen as a human resource strategy, in Europe diversity is strongly associated with integration and has more socio-political connotations than economic ones. As Vice Chancellor Josef Pröll noted in his welcome address, the future of our aging society lies in diversity. WDLS founder Douglas C. Freeman compared a good diversity concept to a gold mine. “Diversity is not only a financial plus for companies but also represents an enormous increase in human capital for society.” He also spoke about the EU’s biggest challenge of finding solutions for the ever-growing older population and the increasing number of ethnic minorities. A European network needs to be created so that decision makers from the fields of economics, politics and society can work together and exchange ideas. As Achaleke states, the feedback from the participants at this year’s summit was excellent and, therefore, plans are being made for a second Diversity Summit in Vienna next year on March 24 – 25, 2011.